Learn how to create and send your SMS campaigns. Note: Additional configurations and fees apply. This feature is currently not available to US customers but it is on the roadmap. SMS stands for "short messaging service" and is a communication channel that allows marketers to connect with mobile users. 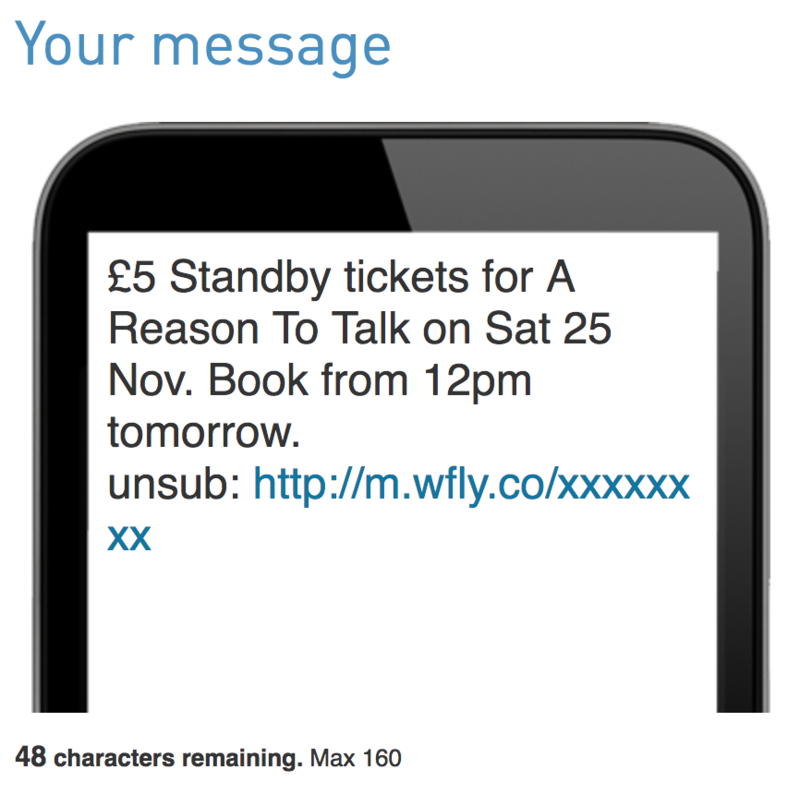 Sending an SMS campaign is just like sending a text message to a friend, except in WordFly you're sending it to your mobile subscribers! As with email marketing, SMS marketing follows specific rules in the countries you are sending to. We've written a support post about these guidelines. We have some information to review for UK and AUS customers. Be sure to review the laws of your country before sending. SMS must be enabled in your WordFly account. We offer a 30 day free trial - email us to get started! Organizations can pick an 11 character short name that becomes your "from name" for all messages. All users working on SMS Campaigns need to have both SMS permissions and Subscriber permissions. This will ensure the user is able to import SMS lists. Learn about permissions in this support article. Google Analytics tracking is optional for any SMS campaign. SMS messages can contain up to 160 characters in total. Links are converted to unique trackable short URLs for each subscriber. Personalization (First Name, Last Name etc) can be added using Data Fields. You can preview personalization before sending. SMS numbers must contain valid numbers with country codes included. Numbers may contain +, spaces and dashes (examples provided below). Reporting data is available after the SMS campaign is sent from the SMS send tab. We can track clicks and bounces. We can't track opens as this simply cannot be tracked from a phone (yet). 1. Go to SMS > Create a campaign. 2. 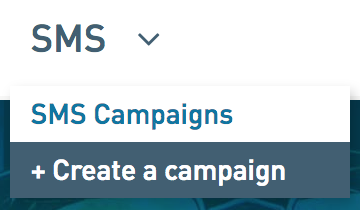 On the Settings tab, fill in your SMS campaign name. Click Save when you are done. Give your SMS a name and select a Label to easily organize your SMS Campaigns. Enable Google Analytics and Source Number tracking by checking the appropriate boxes. 3. On the Message tab, enter your SMS message in the mobile phone window. Type your message into the mobile input field. Use Options to include data fields, links and special characters. Click Add data fields to add First Name and any other personalization to your SMS message. Enter your alternate in the section “If missing, write”, this will display when the data is missing. Set a limit for your characters to ensure the data inserted from your list does not exceed the character limit. Click Add link to include a link in your SMS message. Enter your link in the section “Enter URL”. Include http:// when adding the link. Each link will be made into a shortened URL in the message. Click Character set to add special characters to your SMS message. 4. Select Save + Continue when you are done with your SMS message. 5. On the Subscribers tab, select a list to send your SMS message to. Import a CRM list (Example, Tessitura List Manager list or Extraction). Or, add subscribers manually by copy/pasting mobile numbers (with country codes) into an open field. Make sure to map your mobile number field to the WordFly data field SMS Number. Do not map Email address during this import (if possible, omit email address from your list data file). 6. On the Testing tab, test your SMS message. Enter your mobile number (including area code), and click Send a Test. Use Subscriber Preview to see how your data fields populate in the SMS message. 7. On the Send tab, finish your SMS details by telling WordFly when to send your message. Select Now will send the SMS immediately. Select In the future to schedule your SMS to send at another time. 9. Review your sent SMS Campaign! Watch your SMS message come through on a mobile device. The message will come from your short name. Your short name is the alphanumeric name (up to 11 characters) assigned to your SMS account and setup during the onboarding process. Click View complete results to see your SMS reporting. 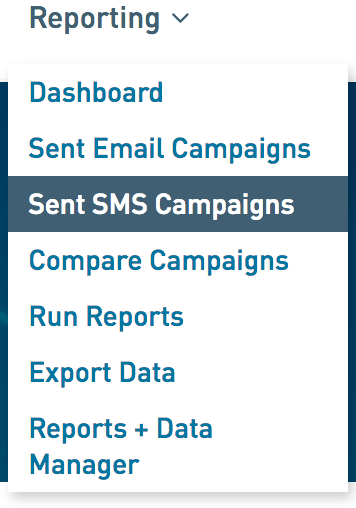 Or, go to Reporting - Sent SMS Campaigns to see your SMS reporting.